The job of a legal assistant is more complicated and technical than that of other assistants. 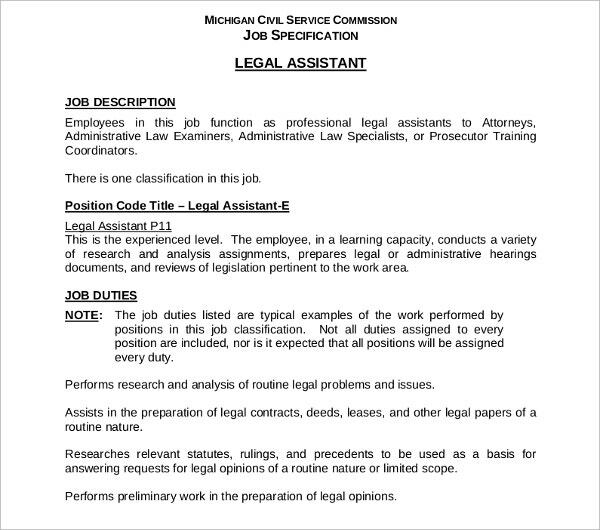 When it comes to legal assistants, there are different posts like paralegals and research assistants. 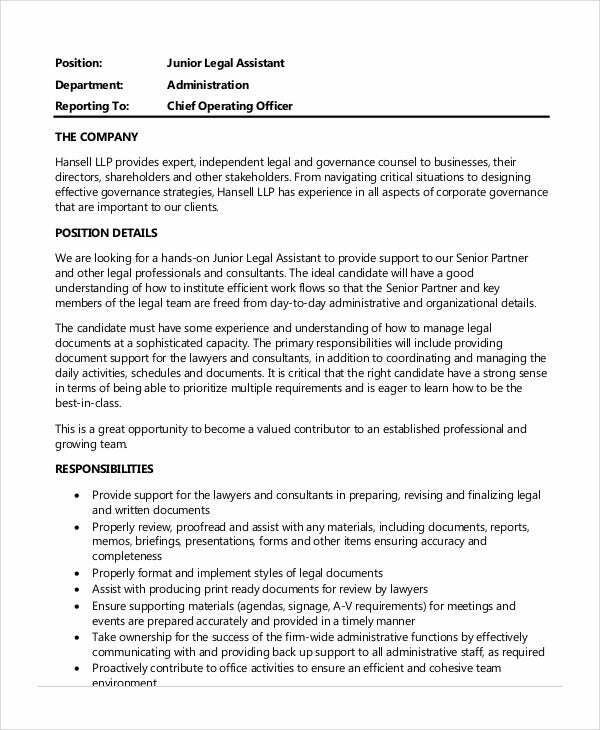 If you have a vacancy at your firm or need someone worthy to fill a post, then you need to come up with a stellar job description sample for it. 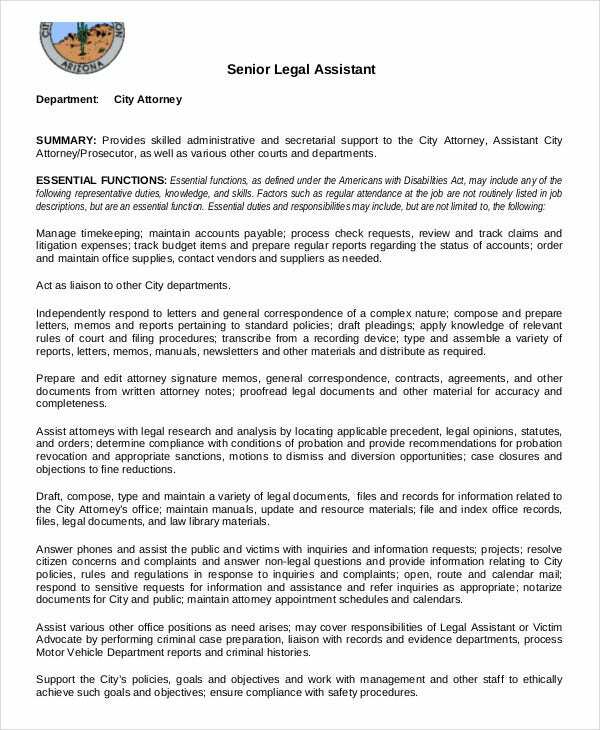 In order to do that, you could take a look at some of these Legal Assistant Job Description Templates. A legal assistant is also in charge of any kind of administrative functions. 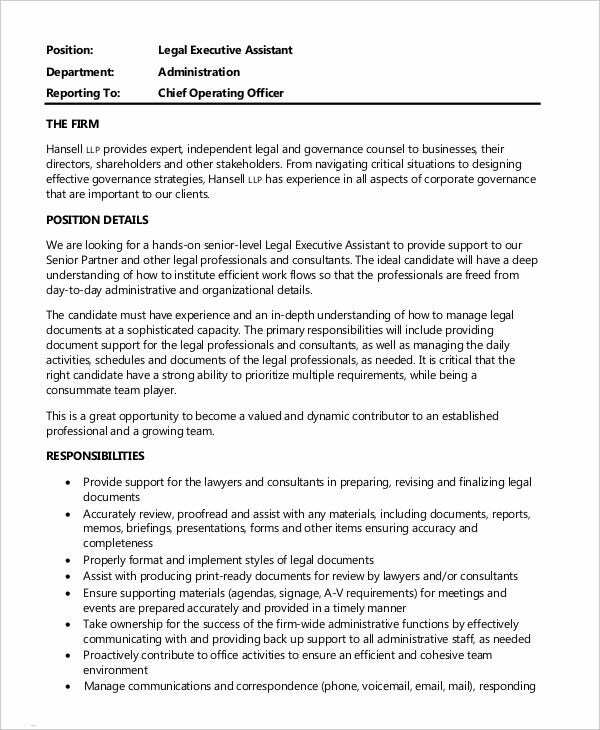 To advertise the post of such a legal assistant, you can take the help of the administrative assistant job description template here. In the field of real estate, it is important to seek legal counsel and have lawyers on your speed dial. If you are looking for lawyers who specialize in real estate, you can take the help of this template. 1. 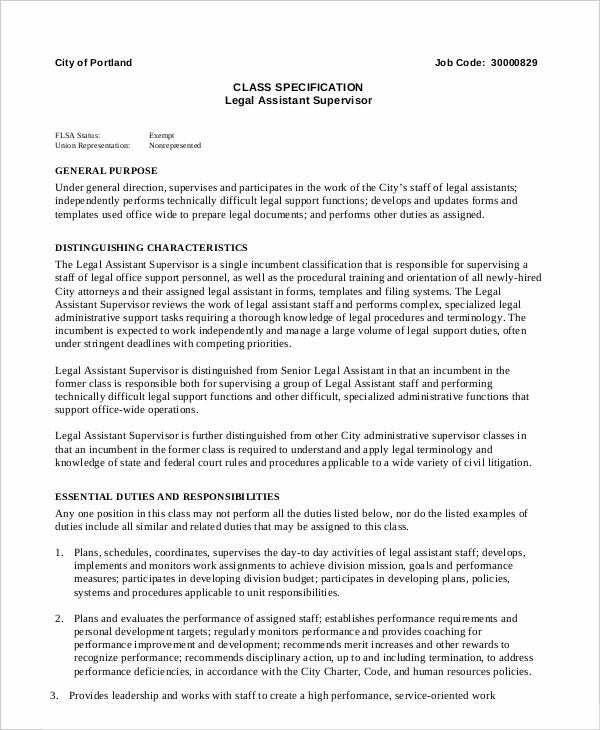 Why do you need Legal Assistant Job Description Templates? 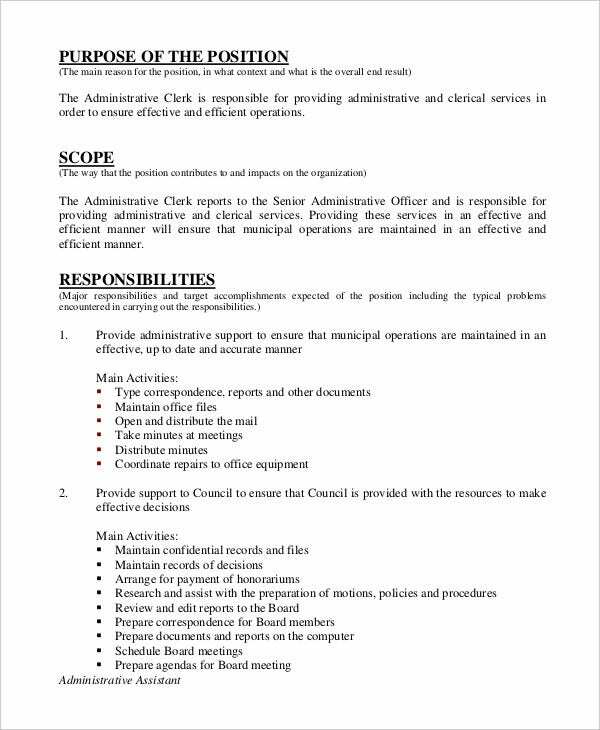 The whole purpose of a job description is to advertise a vacancy of a particular post. You put up a job description so that it reaches out to interested candidates. The kind of job description you put up, irrespective of the post concerned, will determine the kind of applicants you attract. 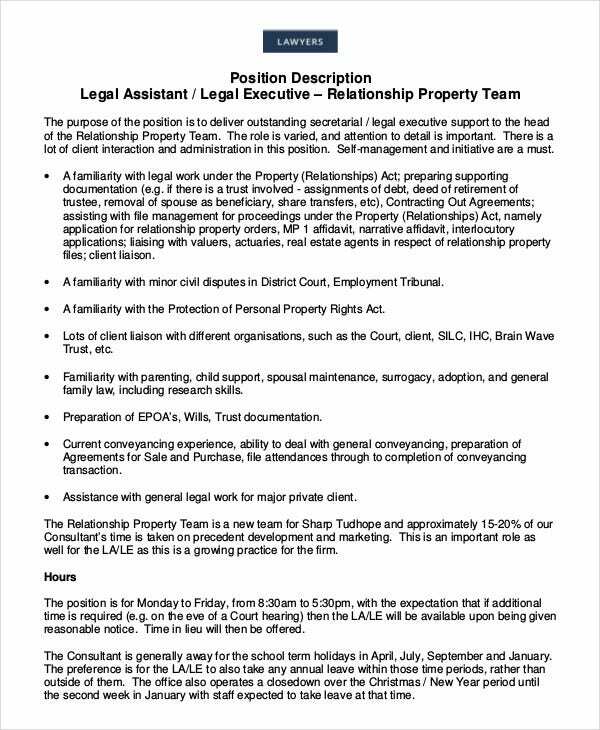 If you want to attract the best possible candidates for your job, you need to take a look at some of these legal assistant Job Description samples. They are sure to present your job description and requirements in a more presentable form. Plus they are extremely easy to use. 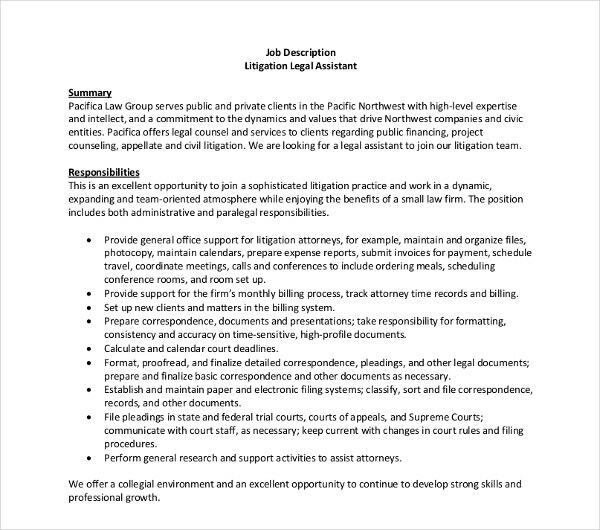 A legal executive assistant is one of the most senior most and respectable positions at a legal firm. If you want to advertise such a post, you can take the help of this template here. In the legal field, research is of utmost importance. 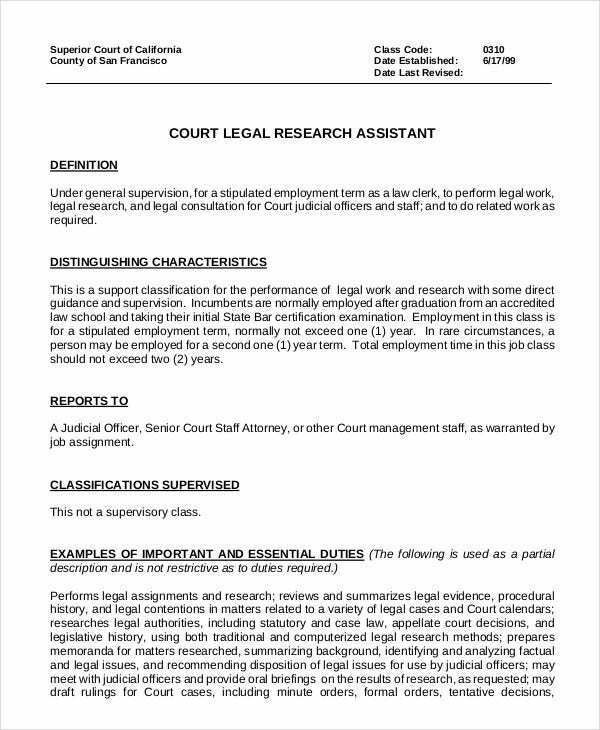 If you are looking for someone to carry out a research for you, you can use this office assistant job description template. You can also see Quality Assurance Job Description Templates. Paralegals are more than legal assistants but do not have the license to practice law. 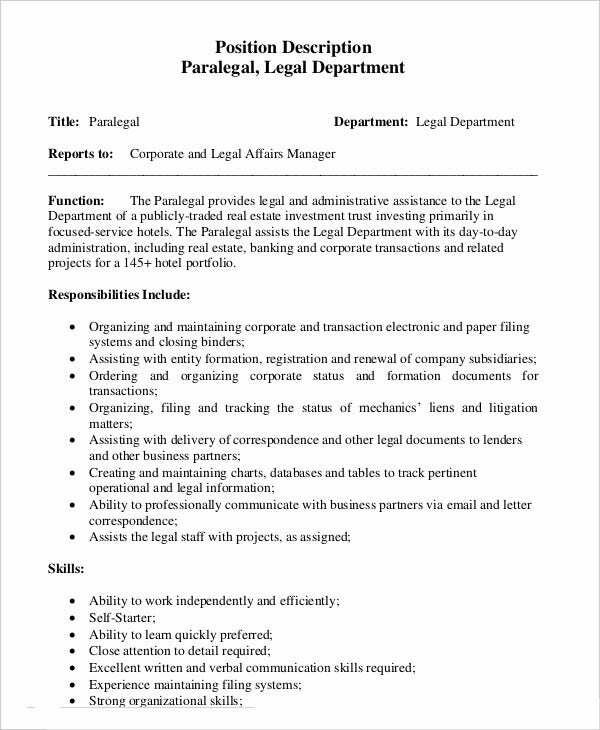 To advertise such a post, you can use this job description template used especially for paralegals. 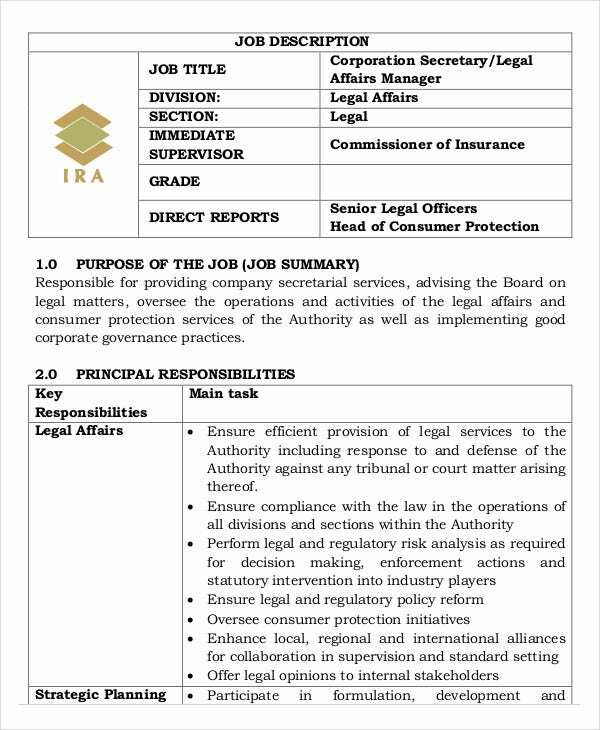 The legal assistant job description templates that you see here have been developed by the pros especially for the situation. They know exactly what a legal assistant’s job is or what the job description must contain and they would be able to guide you with the procedure. You can also see Customer Service Job Description Templates. 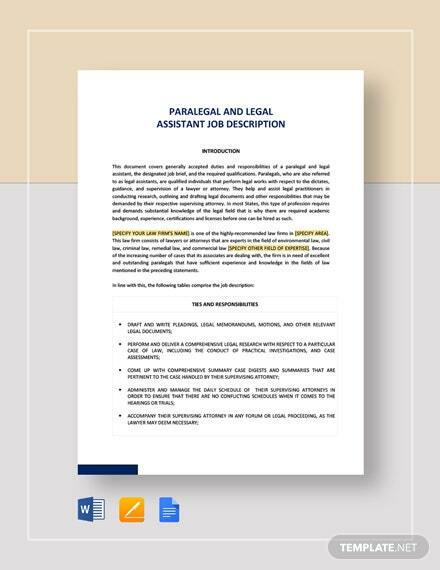 The legal assistant job description templates come in the form of neat PDF files. That not only makes them easy to use but also makes it exceptionally easy for the readers to view and understand the files. 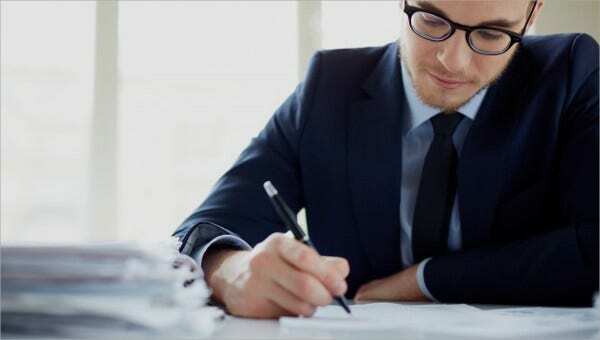 In this section here, you have come across numerous kinds of job description examples – all related to the legal field. Once you have a clear idea of what you exactly need, you can start browsing through the templates and download the ones you like.